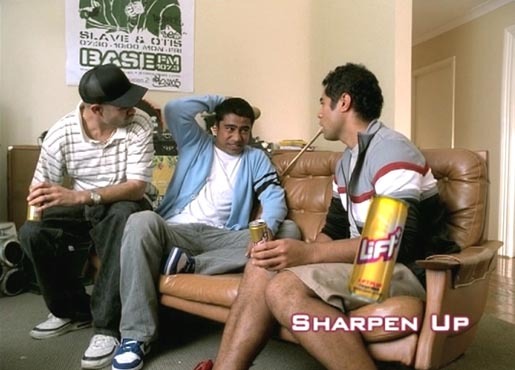 Coca-Cola in New Zealand continues to promote its Lift Plus, its lemon-flavoured energy drink, with a prank-filled comedy series of television advertisements. The Lift Plus ads are promoting a lemon-flavoured carbonated drink with Guarana and caffeine, introduced into New Zealand in 2001. The campaign has been developed at Publicis Mojo by creative director Nick Worthington, creatives Karl Fleet and Derrick Kim, and agency producer Jane Mill. Filming was shot by director Robin Walters at Curious Film, Auckland, with producer Seth Wilson, director of photography Adam Clark and editor Will Roberts.